The chief executive of JPMorgan Chase & Co.’s wealth management business is leaving the company, according to news reports. Barry Sommers, 49, is retiring from his position, the company said yesterday, according to Reuters. Sommers was at Bear Stearns when JPMorgan bought it in 2008, and became chief of the Chase consumer bank before building its wealth management business, the newswire writes. David Frame is replacing Sommers as chief of U.S. Wealth Management according to a memo from Mary Erdoes, CEO for the firm’s asset and wealth management division cited by Reuters. Frame is currently the global head of JPMorgan’s client advice and strategy, the newswire writes. In addition, Nicolas Aguzin is taking over Sommers’s international responsibilities, according to Reuters. Aguzin currently heads the firm’s banking for the Asia-Pacific region in the firm’s corporate and investment bank, the newswire writes. 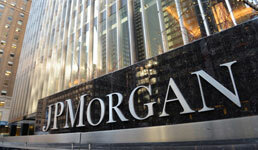 JPMorgan posted $3.4 billion in net revenue in its wealth management business in the fourth quarter, a 5% drop year over year, the firm said in its latest earnings report. Net income was $604 million in the fourth quarter, down from $724 million in the third quarter of 2018 and $654 million in the year prior. Assets under management, meanwhile, slipped 2% year over year, to $2 trillion.